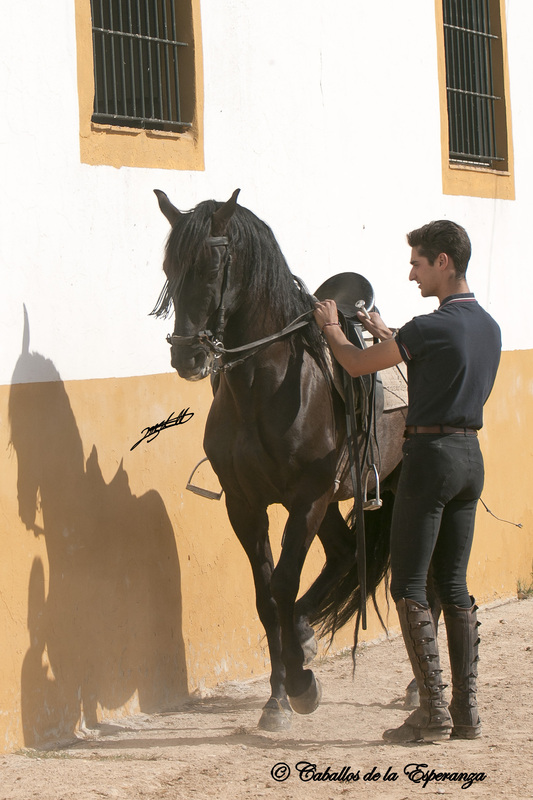 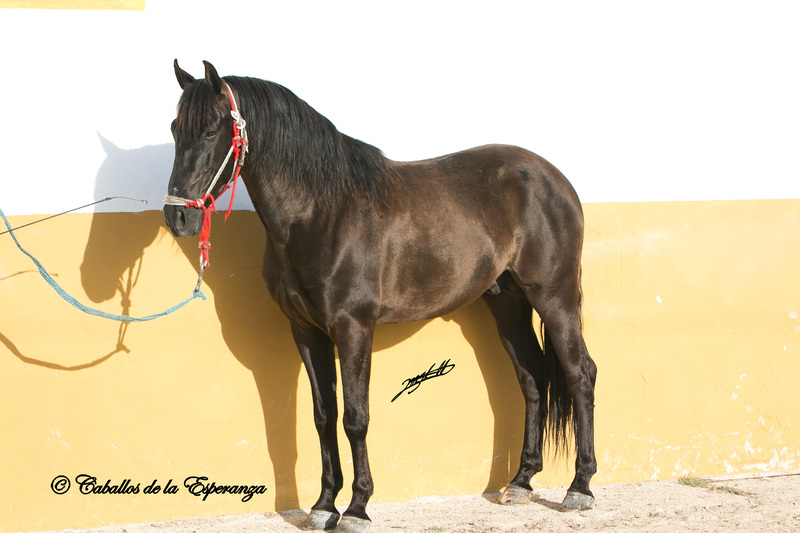 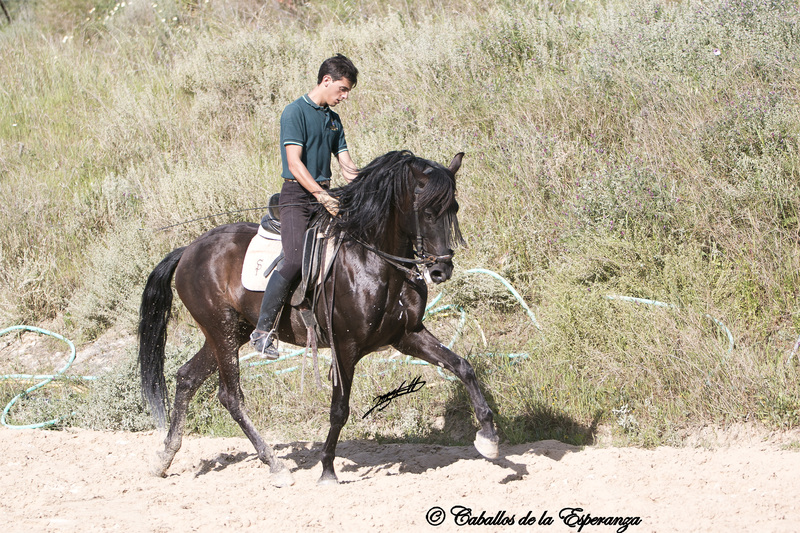 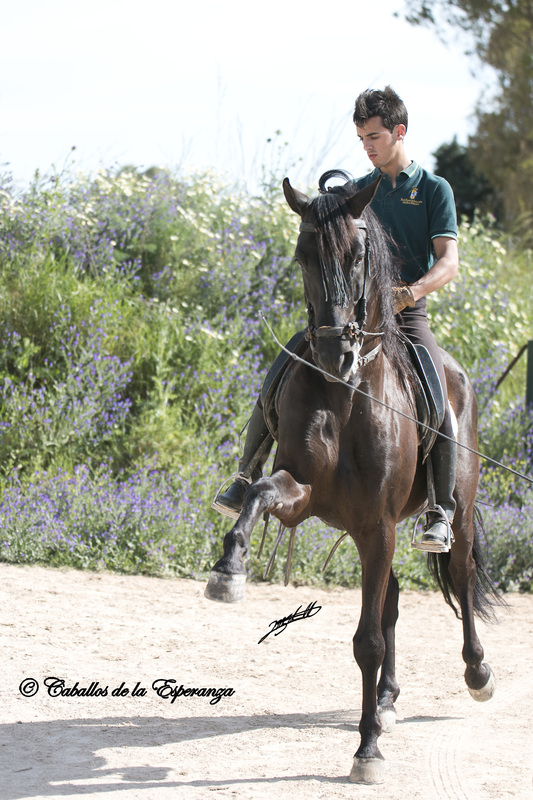 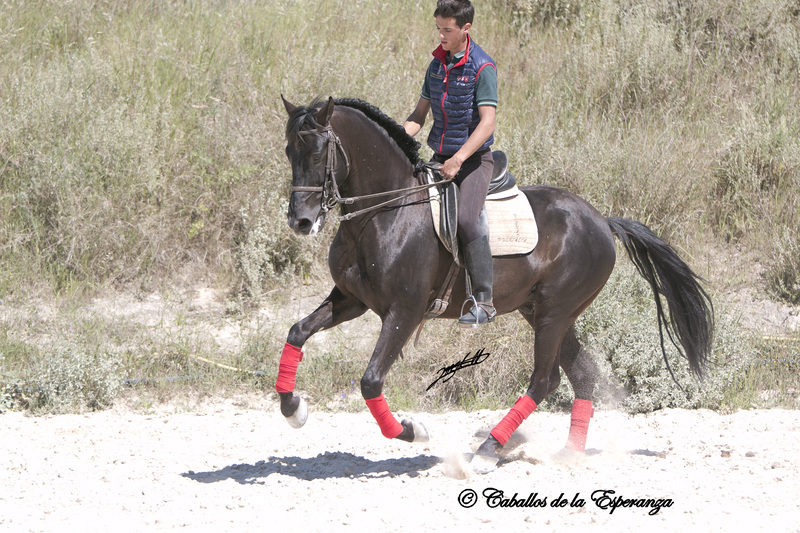 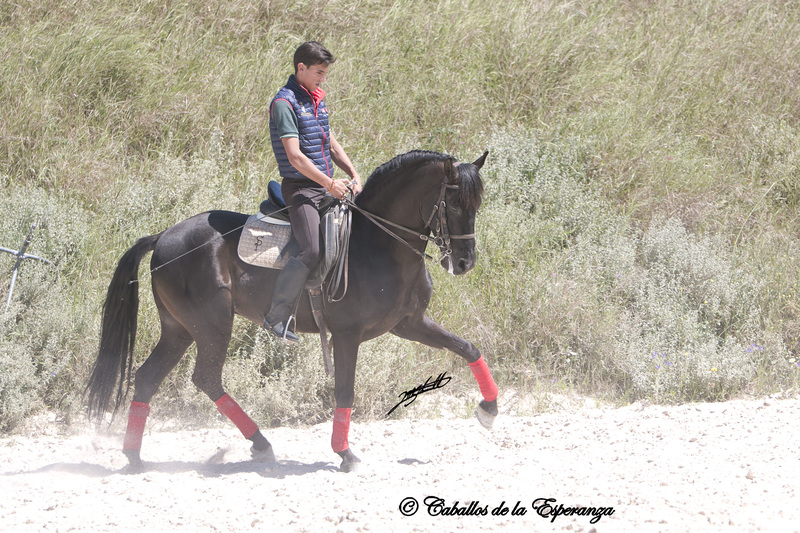 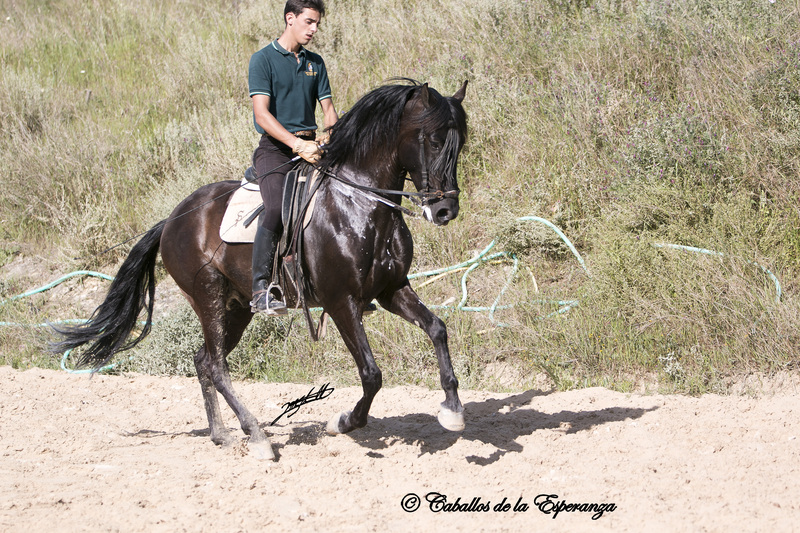 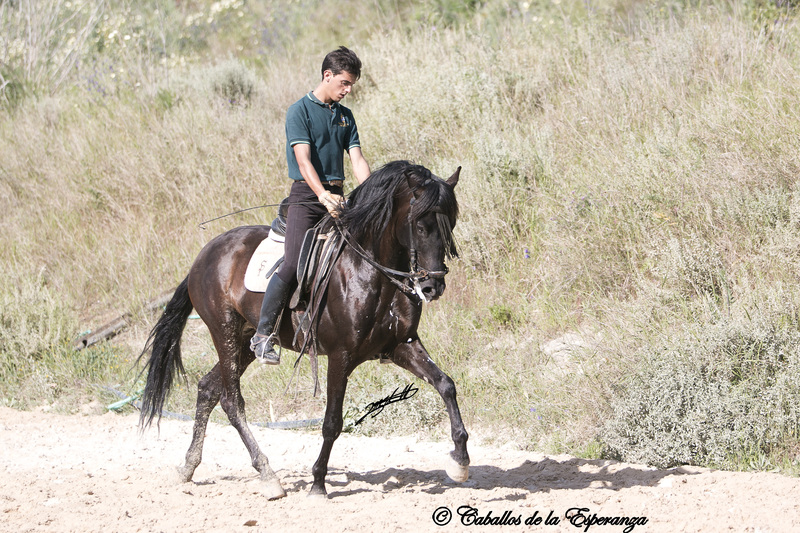 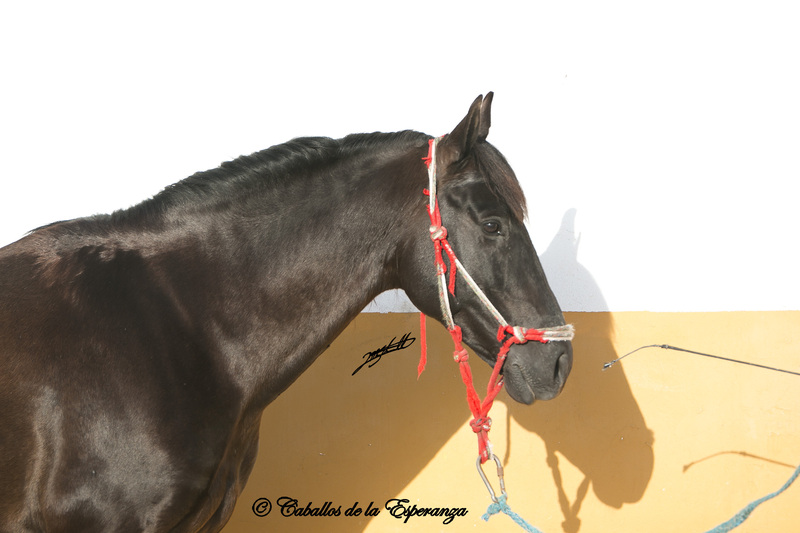 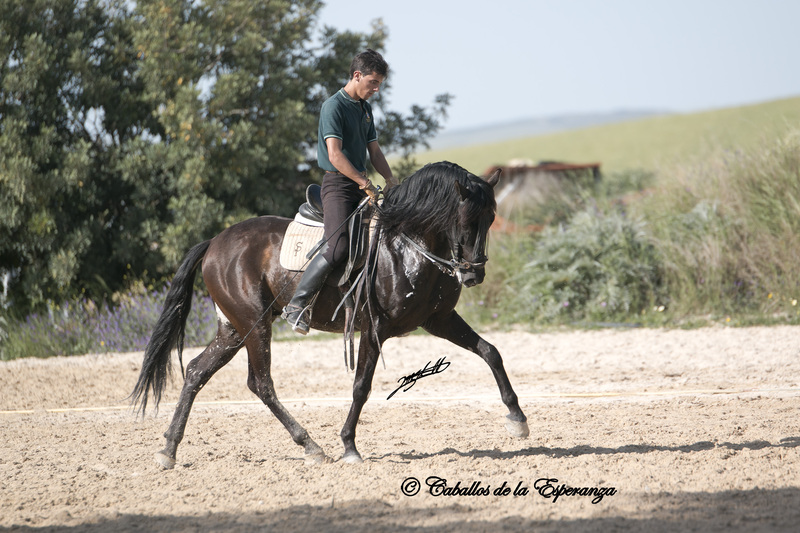 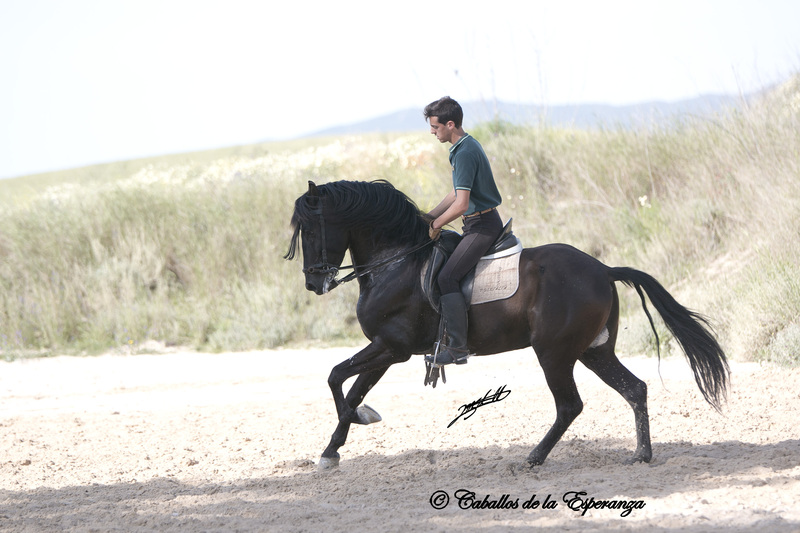 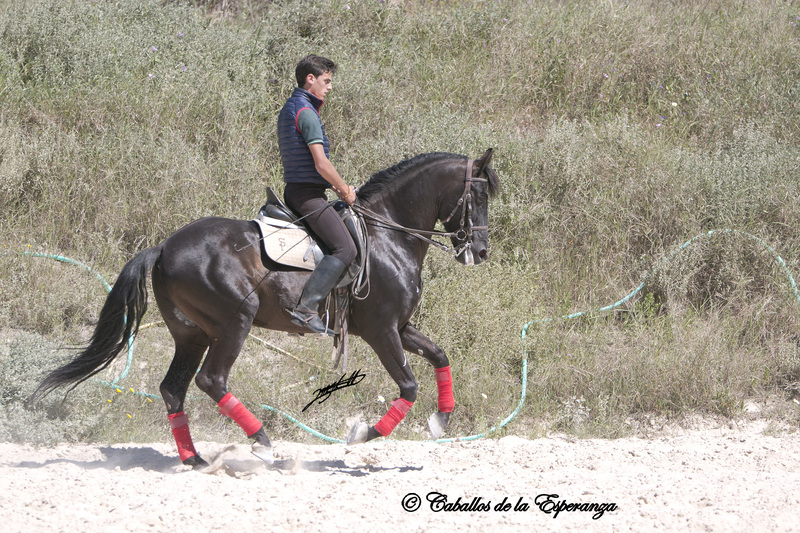 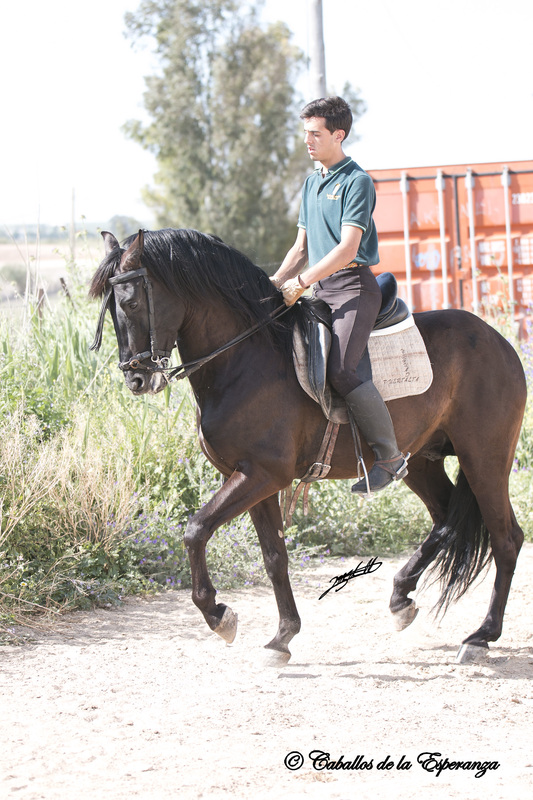 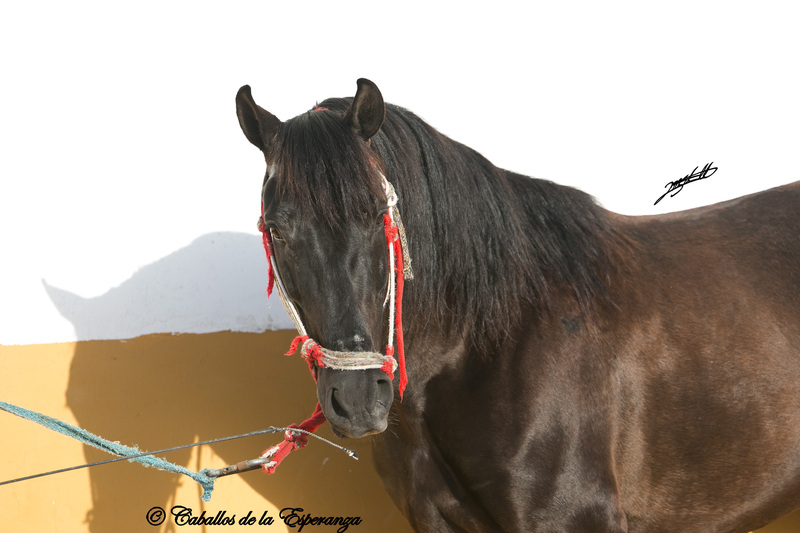 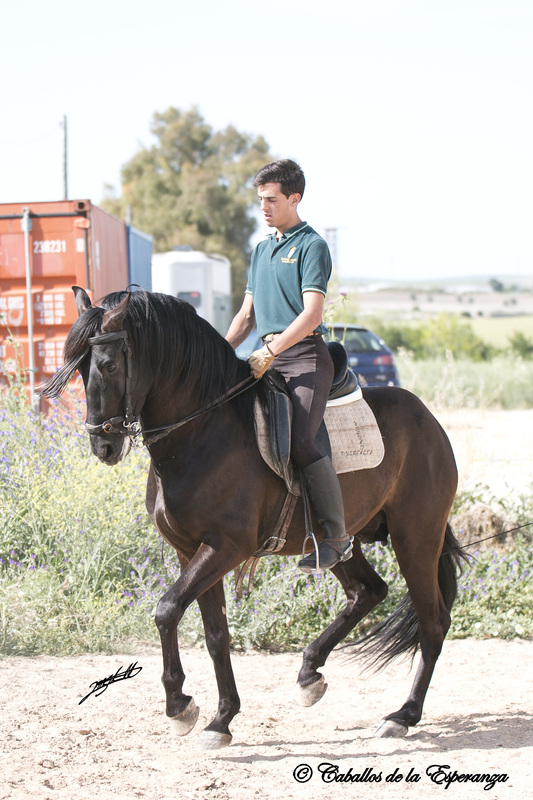 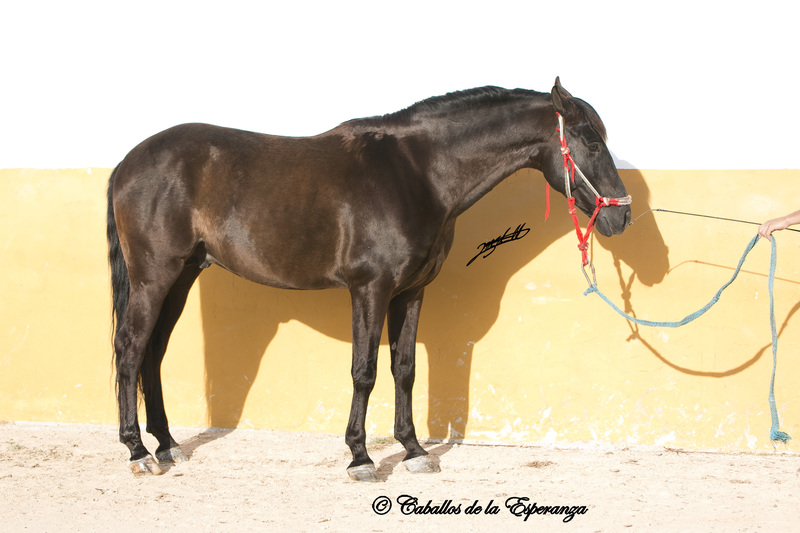 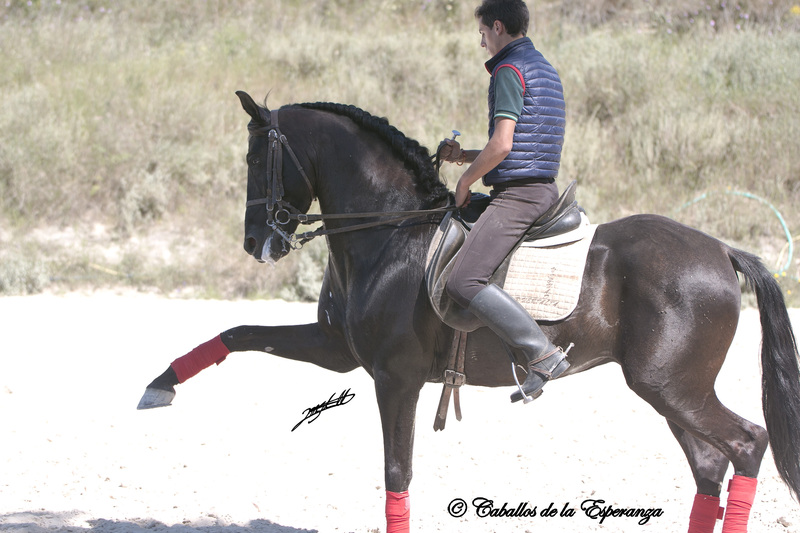 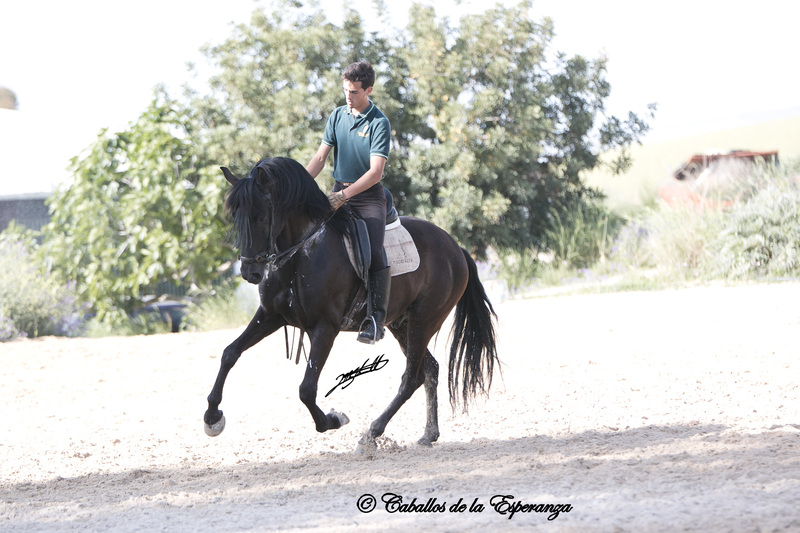 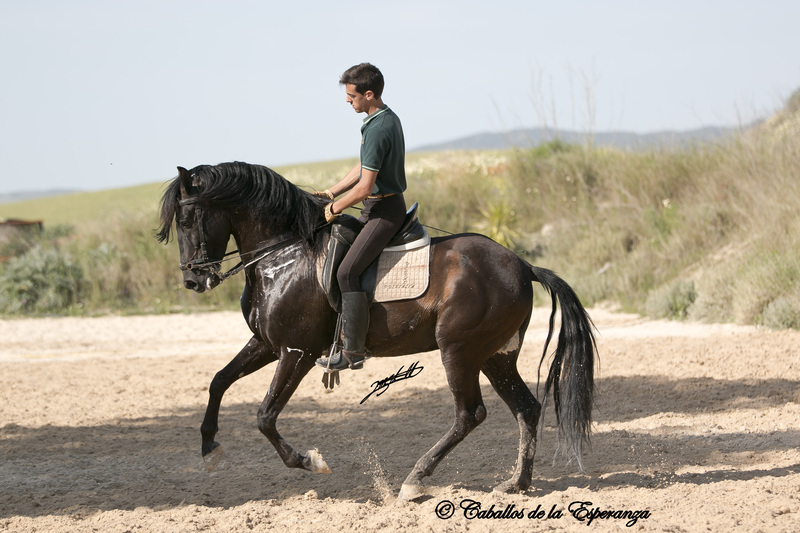 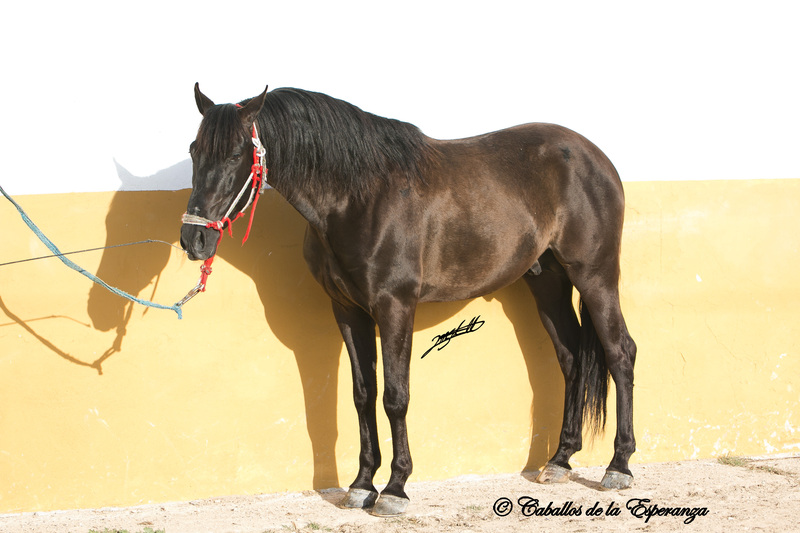 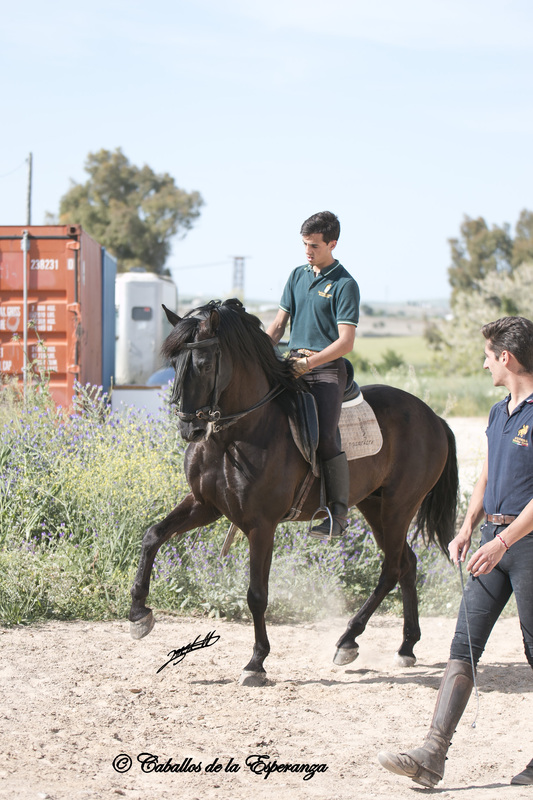 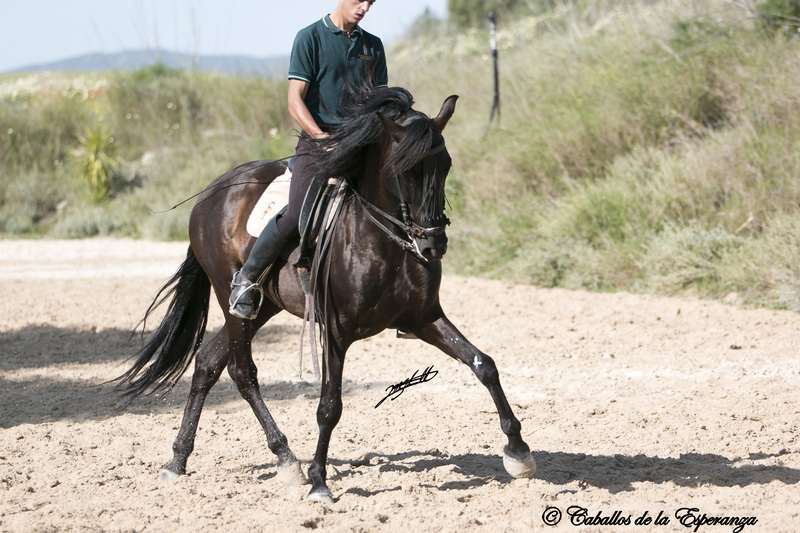 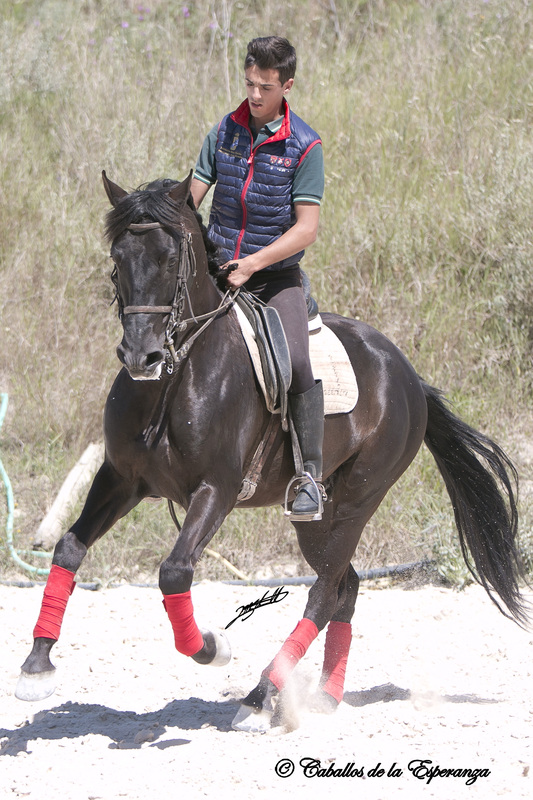 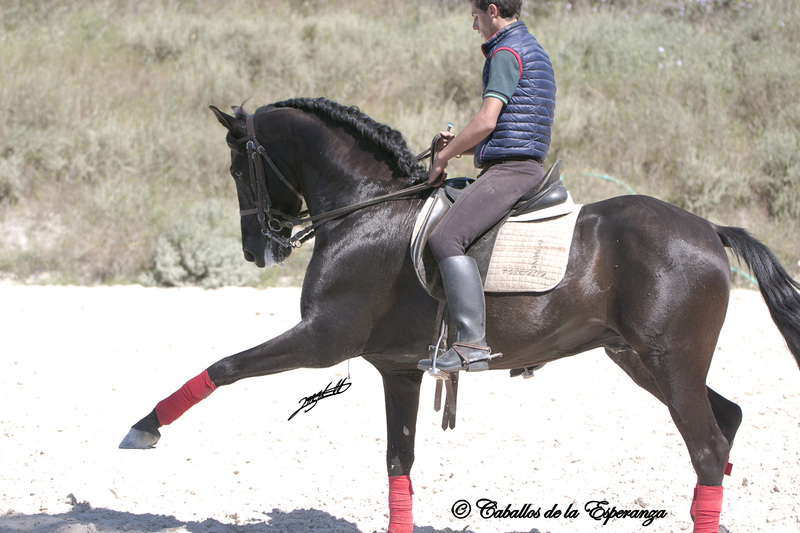 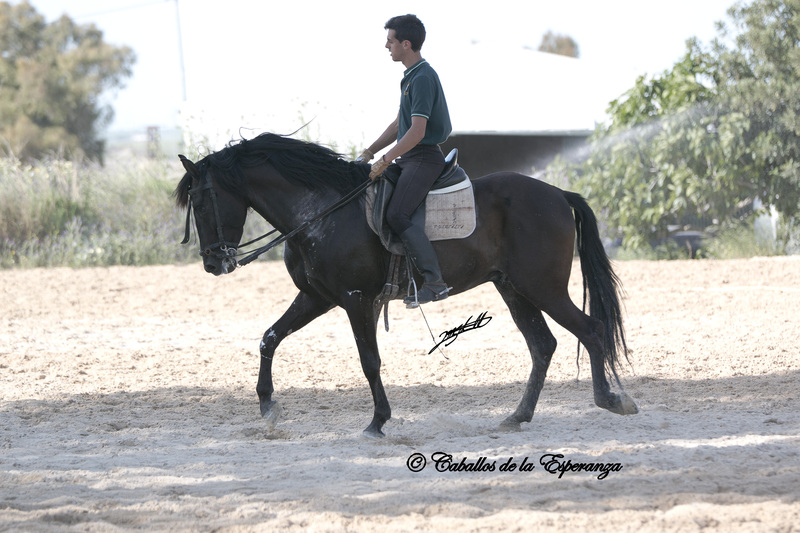 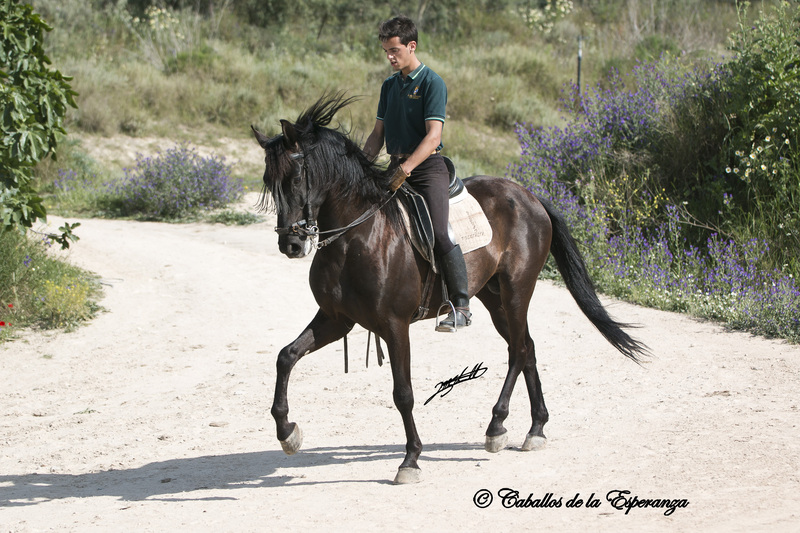 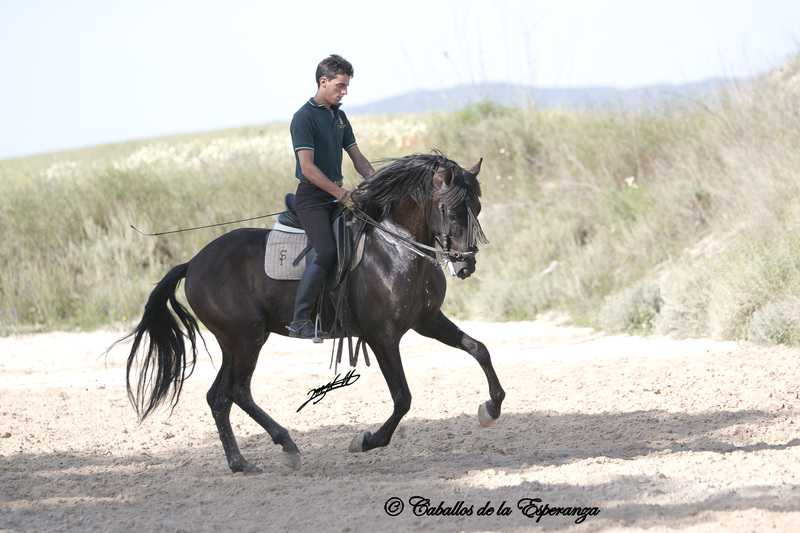 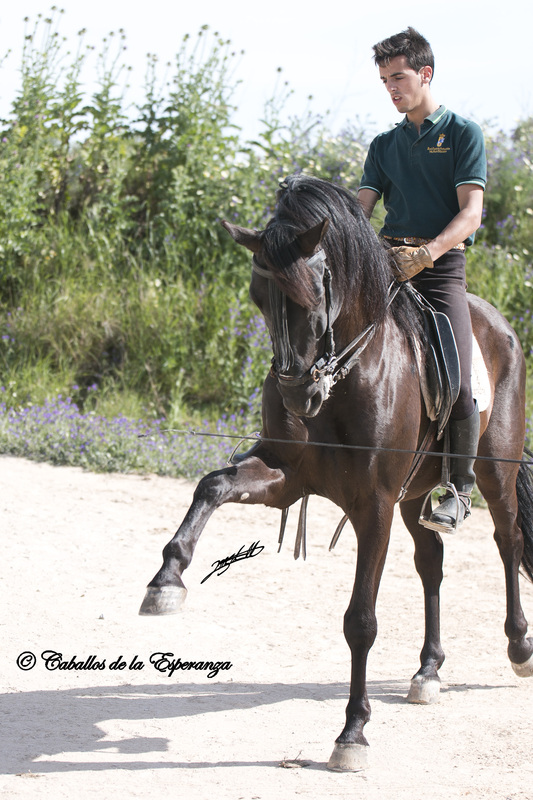 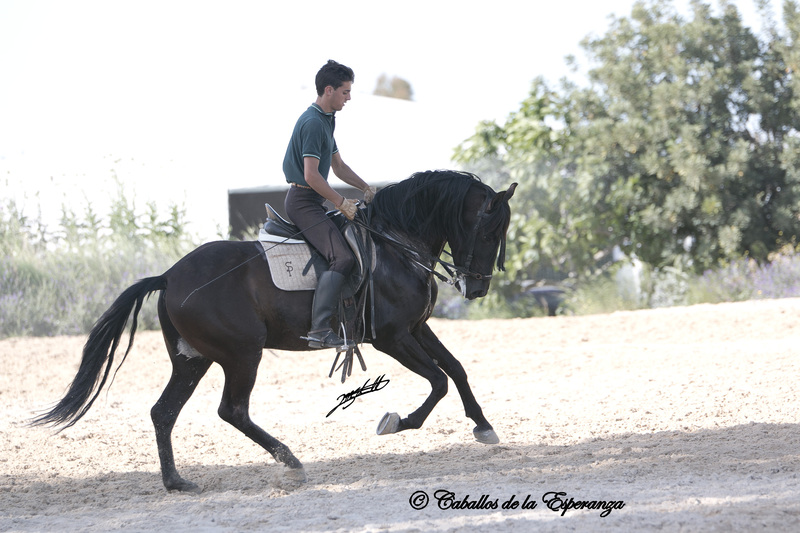 Cartujano is a calm, beautiful, compact and expressive PRE stallion. 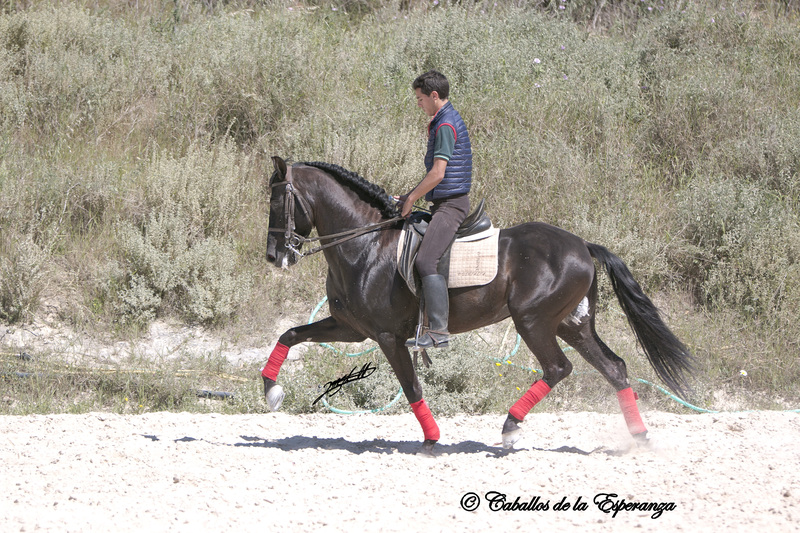 In the track he works shoulder-in and leg-yieldings. 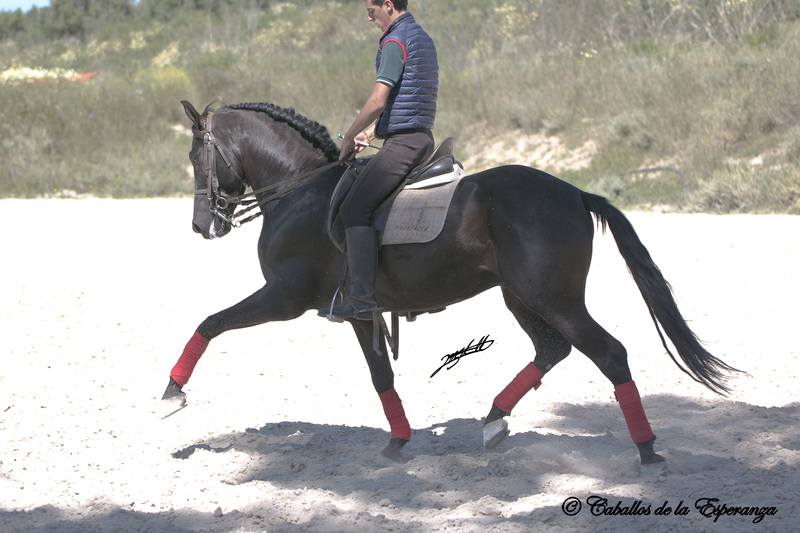 Further piaffe, Spanish walk and Posade (in hand) are introduced. 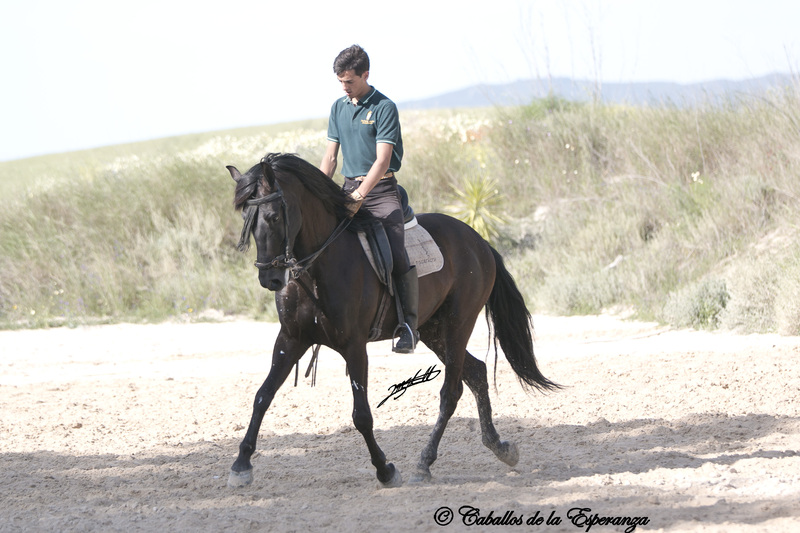 He also knows hacking, Ferias and Romerias – no problem at all. 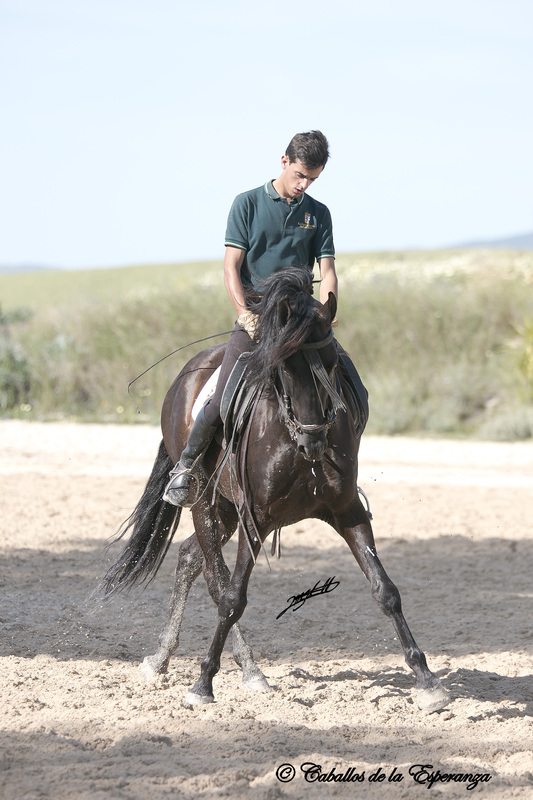 In the handling he is a real cutie who is easily handled by everybody. 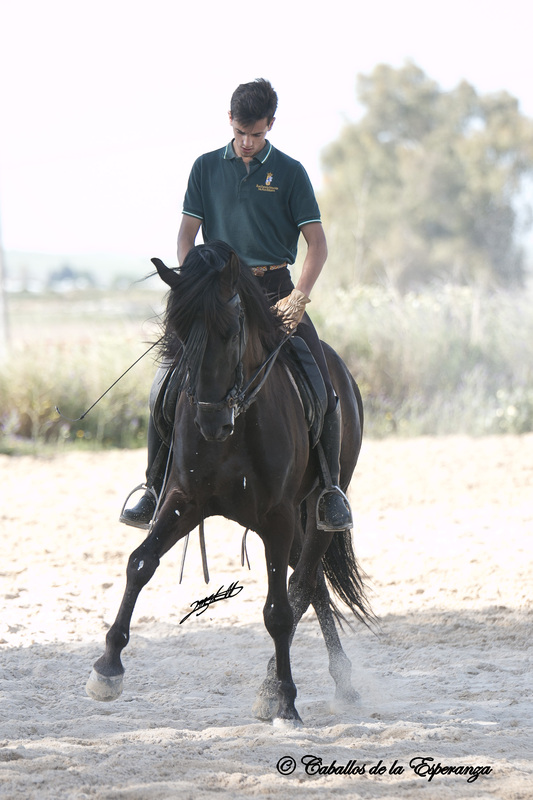 Under the saddle he is nice and has a controlable temper. 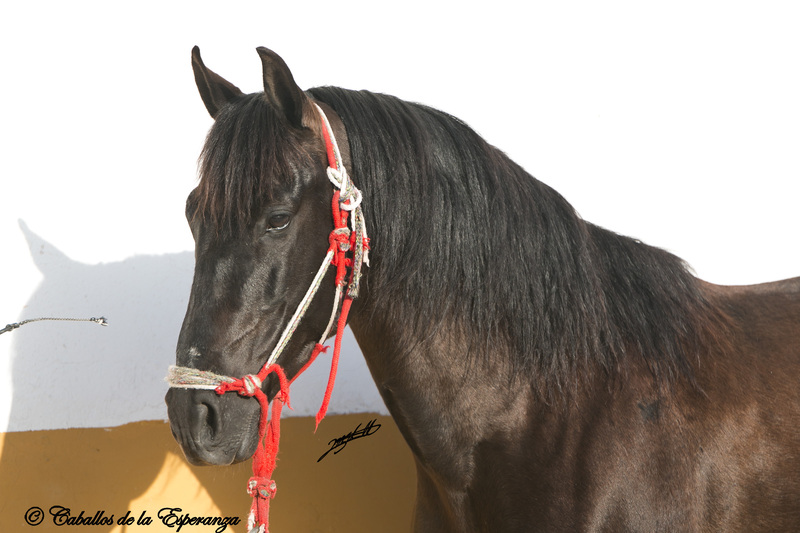 Cartujano doesn’t have the PRE papers yet, but all the necessary documents are available. 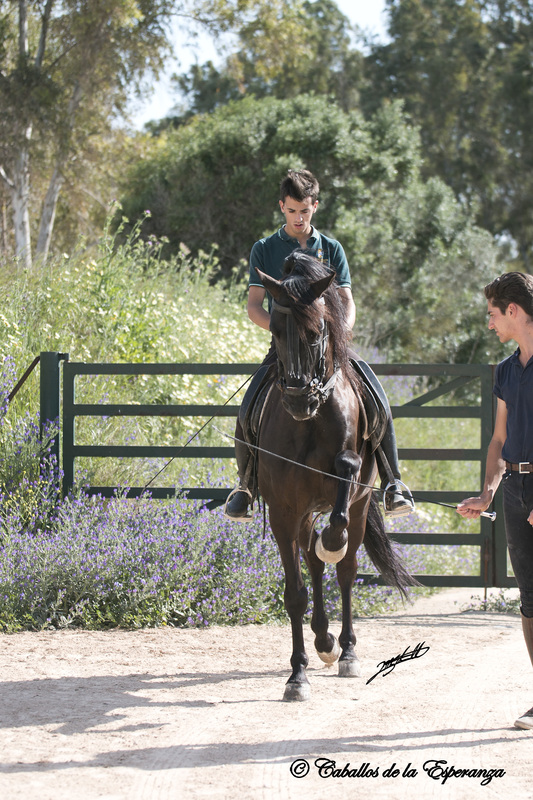 I gladly help you with that. 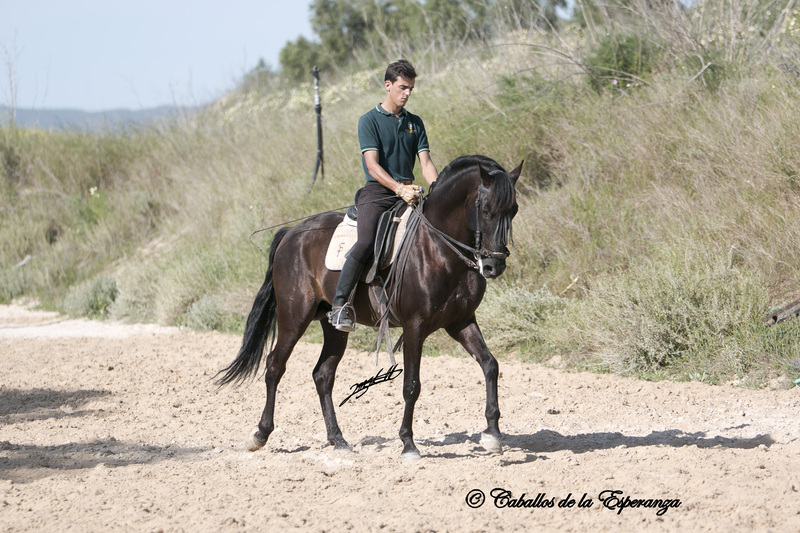 For more information, please do not hesitate to get in touch with me!